The Wonderboom Freestyle is IPX7 certified, the company claims, this makes it a waterproof speaker and it can withstand up to one-meter water for up to 30 minutes. Ultimate Ears is expanding its product offering in the country with the launch of WonderBoom Freestyle portable speaker. Currently, the company sells Boom 2 and MegaBoom speakers in the Indian market. Priced at Rs 6,995, the speaker will come with a two-year warranty and will be available in offline retail later this month. 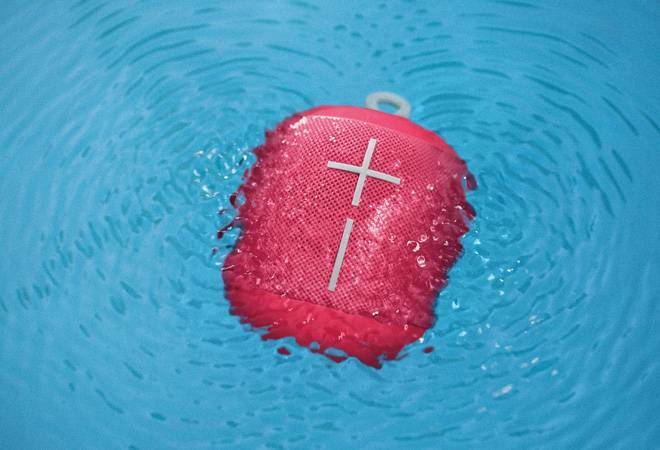 The Wonderboom Freestyle is IPX7 certified, the company claims, this makes it a waterproof speaker and it can withstand up to one-meter water for up to 30 minutes. Ultimate Ears says, the speaker can be used in swimming pools, beaches and even muddy fields, and if it gets dirty can be rinsed. The speaker supports up to 100-foot wireless Bluetooth range and can be paired with up to 8 devices. The company also claims that 2.8 hour of charge can give up to 10 hours of music playback. There are three buttons on the top of the speaker for turning it on/off, controlling Bluetooth connectivity and playing/pausing and skipping the tracks. It has a 93.5mm circular base, is 102mm tall and weighs 425 grams. Designed for millennials, WonderBoom Freestyle will be available in Concrete, Avocado, Patches, Raspberry and Unicorn style. Sumanta Datta, Managing Director and Cluster Head, South West Asia and Indonesia, Logitech, said, "The new collection by Ultimate Ears is all about expressing yourself. You curate your playlist and personal style - Why not have a speaker that reflects that style too? WonderBoom Freestyle Collection gives you big sound and the freedom to express your style in a trendy, tough and worry proof speaker. The new collection strengthens the Ultimate Ears portfolio forthe Indian market with industry leading speakers across entry, mid and premium range." Founded in 1995, Ultimate Ears is a US-based audio equipment company, which was acquired by Logitech in 2008 and operates as a subsidiary.